Search this site for your family names, town names, and data. 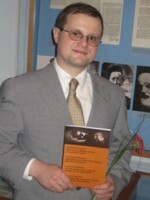 historian, researcher, contributing editor on Latvian family history. 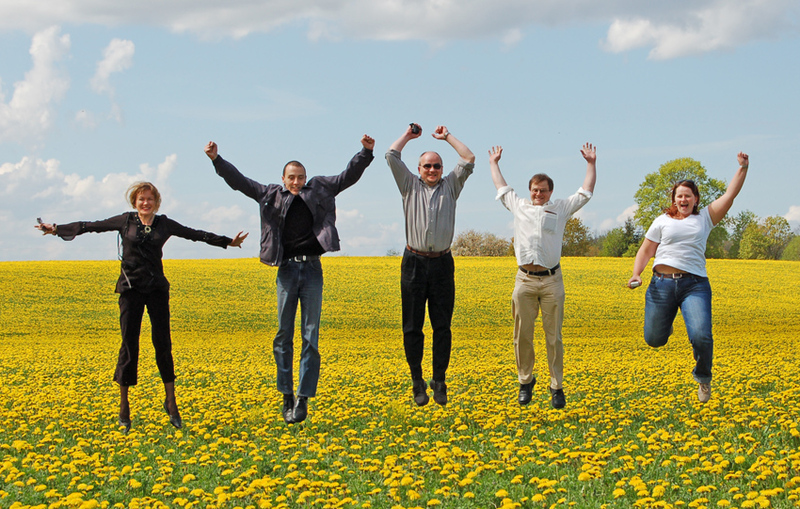 The above are all the doctoral students of the Theological faculty of Latvian University jumping on a hill near Valga, Estonia. Aleks is second from the right. Baltic Region Was called Russia 1890 to 1915. Cities now have new non-Russian names. Ask me for the new name of your ancestral town. If you have any questions at all about my fees or prices please let me know. I want you to be happy and well served. I want your repeat business and referrals. My clients are very important to me. 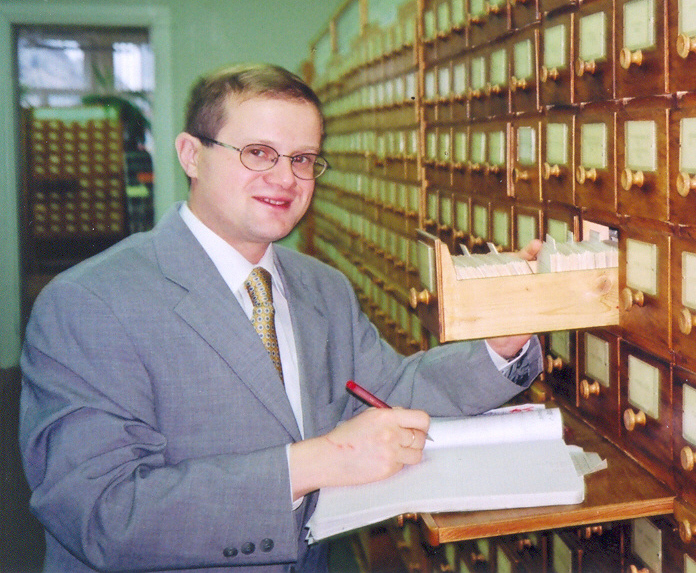 Let a Well Known Scholar based in Riga, Latvia help you research your family history in the Baltic Region. 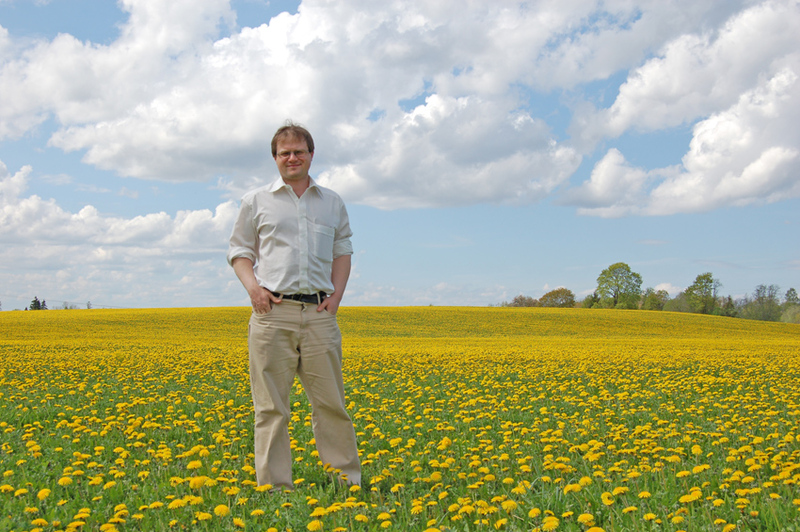 His breadth of expertise includes: Estonia, Latvia, Lithuania, Belarus, Russia and Poland. Click on My Services and What I Deliver Links. My services are offered in Deutsch, Francais, русском and עברית. Click Here to details of Unique Tour of Riga. Come with me and visit your ancestral homeland. Visit historic sites. See the old the synagogues, streets, cemeteries your ancestors knew. Visit your ancestral home. Click here for details. Click Here for Photos of the Region. If you can't come let me send your photos and research the historical archives and send you the vital records of your ancestors translated into English. See the new photos of Belarus shtetls. I offer services to those interested in both Jewish and Non-Jewish family history. Order Photo of Your Relative's Headstone - I may already have it in my files. Click on the Cemeteries Tab to See! As a Free Service to My Clients and Future Clients I have just added a free copy of the list of Headstones in the German Cemeteries of Riga, Latvia. Verzeichnis der deutsche Grabsteinen in Riga, Lettland. Click on Cemeteries Tab to download the entire list. As a Free Service to My Clients and Future Clients I have just added a free copy of the All Lithuania Jewish Cemetery Lists. Click on Cemeteries Tab to download the entire list. Check out the Books For Sale. They are excellent resources if either you or your group is interested in the Jewish people who once lived in Latvia, Lithuania or Belarus. As a Free Service to My Clients and Future Clients I offer you a free copy of the All Latvia Jewish Cemetery Lists. Click on Cemeteries Tab to download the entire list. New Information. If you have had research done before in this region you should know that there is new information available. Contact me to check out a possible update. Click on Cemeteries Tab to see the new Tukums and Krustpils Cemetery Lists. Click on In-Stock Videos Tab to see listing of videos I have already prepared that might include your ancestral village. Videos are now available in DVD format. In order to promote tolerance and to fight anti-Semitism in Latvia and in the world I wrote a book entitled Latvian Jewish Intelligentsia - Victims of the Holocaust, a Biographical Dictionary of 77 Latvian Musicians, Scientists, Rabbis, Artists, Industrialists, Journalists, who became victims of Nazi terror in 1941-1945. This book will be distributed FREE OF COST in the schools and Universities of Latvia. I can send an English translation of the text of this publication as an e-mail attachment to those interested. Contact me and I will send you and email with a free copy of the English version of the text. Организую ТУРИСТИЧЕСКИЕ ПОЕЗДКИ в города и местечки Ваших предков в странах Прибалтики. Предлагаю УСЛУГИ ГИДА на русском, иврите, латышском, английском, французском, немецком языках для туристов и туристических фирм по маршруту Вильнюс-Рига-Таллинн. Провожу –из Риги- 1-дневные «ПОЕЗДКИ СЧАСТЛИВОГО НАСТРОЕНИЯ»- то есть поездки по доступным ценам в заповедный сосновый лес на берегу Балтийского моря (150 км. от Риги). Всего за один день Вы гарантировано восстановите психические и физические силы Вашего организма благодаря живительным силам нетронутой природы. 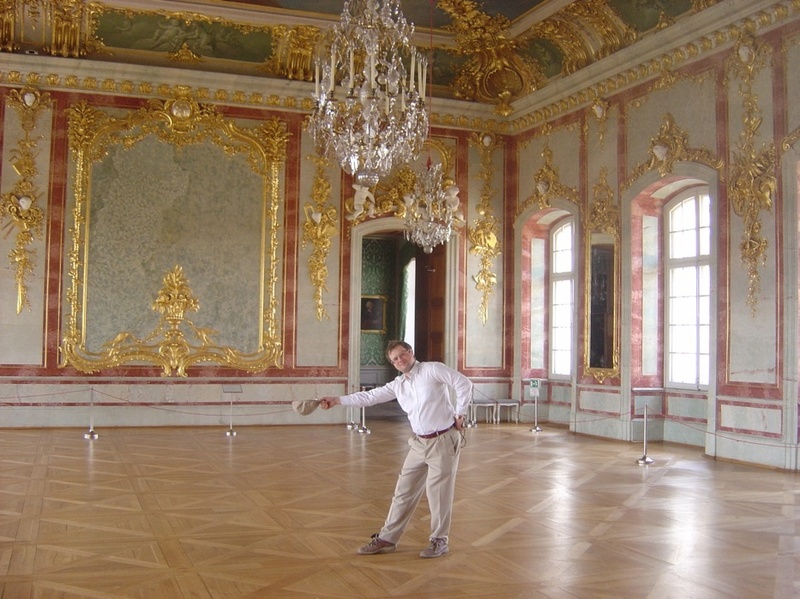 Rundale Castle the Versailles of the Baltic. A castle of Duke of Kurland built in 1735-1784. 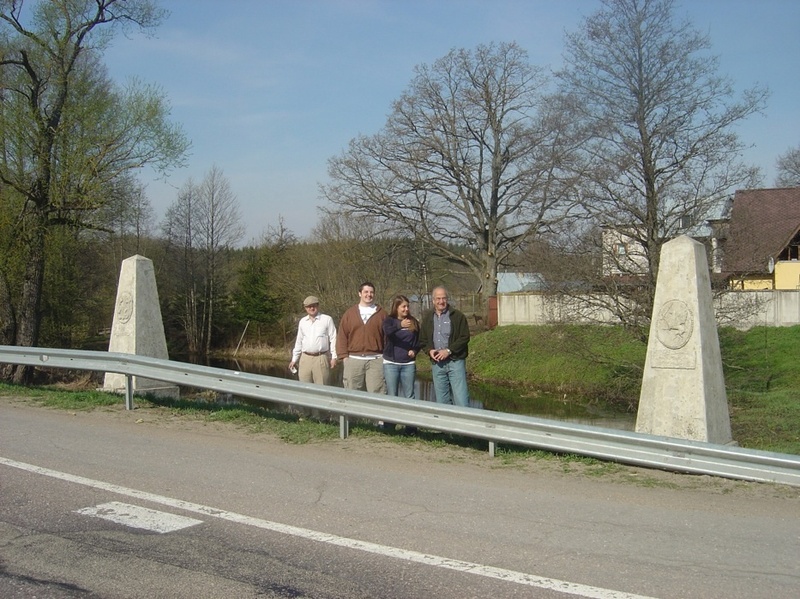 Aleks and US Tourists standing on the border between the provinces of Courlande and Livonia 25 KM from Riga. 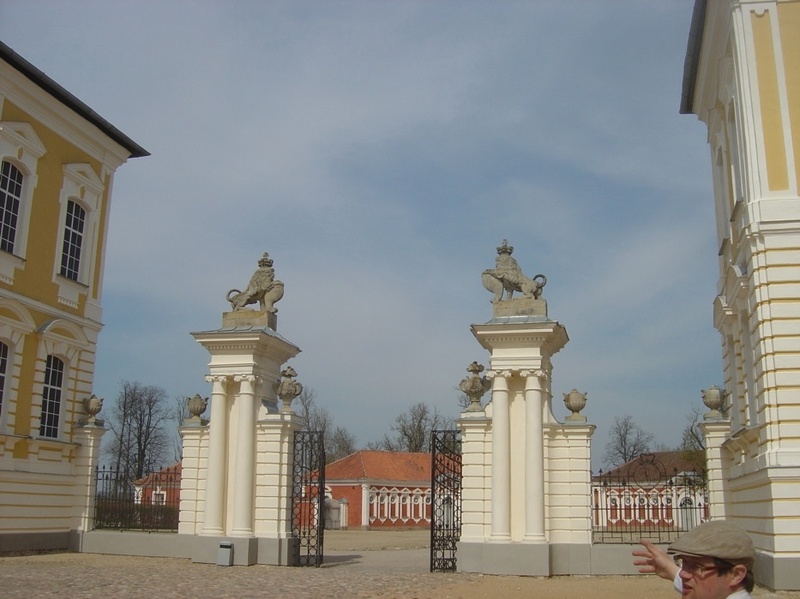 Before 1795 this was the border between the Russian Empire and the State of Poland.